“I was exhausted, depleted and sabotaging myself, partying so much but in reality running away from pain. 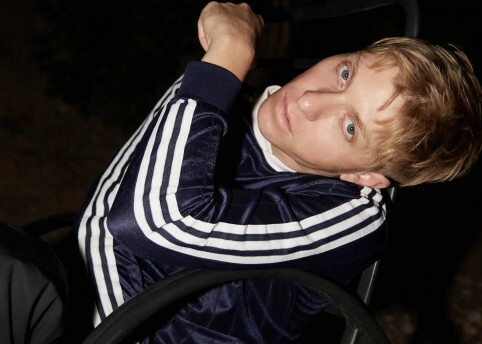 It was a downward spiral.” The Drums‘ Jonny Pierce reveals, opening up about his recent struggles. Following a painful divorce and difficult stint living solely in Los Angeles, Pierce had to piece together his life and wellbeing from an incredibly fragile state. 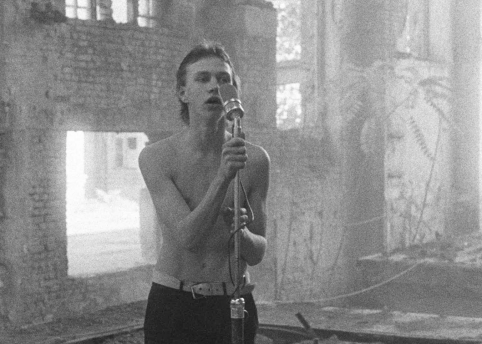 “I was exhausted, depleted and sabotaging myself,” reveals The Drums’ Jonny Pierce, “Partying so much but in reality running away from pain. It was a downward spiral.” Opening up about his recent struggles following a painful divorce and difficult stint living solely in Los Angeles, Pierce had to piece together his life and wellbeing from an incredibly fragile state. 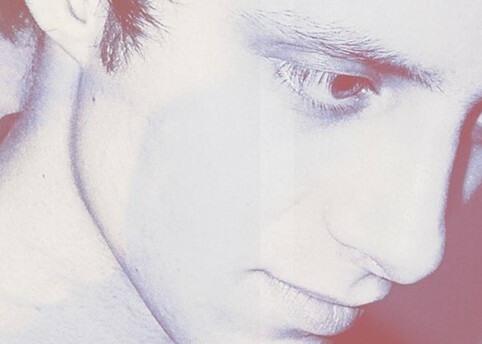 Seeking help through therapy and focusing on his mental health, it was around this time that Pierce began working on his latest record Brutalism – and second as a solo artist. It takes courage to be there, staring into the mirror, poring over your emotions and addressing them head on. For Pierce, this filtered directly into his songwriting, which became an extension of self-care for the US musician. A bicoastal record written and recorded between Upstate New York and a studio in Stinson Beach, Brutalism marks Pierce’s most personal and open writing yet. Continuing that conversation, here Pierce pens an honest and revealing op-ed in which he addresses his own struggles with, and fresh understanding of, mental health and self-acceptance. 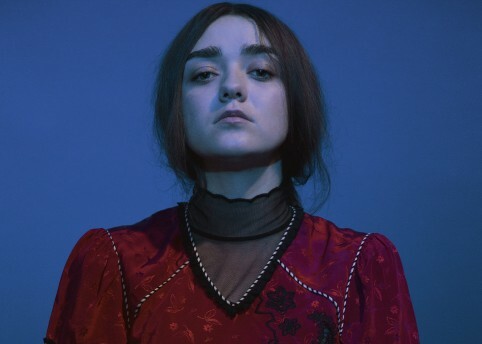 “This morning I woke up to an alert on my phone reminding me that my new album Brutalism had just gone live via NPR’s First Listen feature. Anyone who is in the music industry and has even a loose idea of what a “good look” is, knows that to be featured on First Listen is a big deal. NPR is looked to by many as one of the few go-to sources for thoughtful consideration and criticism on art in America. Just to be on their radar gives most artists a heightened sense of self-esteem at the least, and at the most – joy, I would imagine. If NPR likes your work, other news outlets take note. It’s normally a big sigh of relief for artist and label. Not only were they streaming the album, but their review of the work was full of praise for a job well done. I had spent the last couple years labouring over this piece of work and now it’s out in the world and getting a critical reception I could only ever dream of. Most artists would be thrilled. Problem is, I felt something close to nothing. Now don’t get me wrong, I am grateful. I feel lucky. I know in my head that this is big and that it’s something worth celebrating. I should call my band, and my manager and my friends and throw a party or go for a nice dinner – and I might do that, but honestly, I don’t really feel like celebrating and I think I don’t feel like celebrating because nice moments like this don’t feel real to me – and it’s not because I’m in shock – I know myself better than that. As a matter of fact, I’ve spent the majority of my life feeling this way – unable to tap into and fully experience a bigger and truer joy – one that feels tangible, weighted and real. I’ve spent the last few years wading in the pools of self-care – exploring who I am and what sort of things trigger good days and which trigger bad. The idea has been to go to the source of pain – at the very least to understand it better – at the most, to gouge it out somehow. I’ve been attending therapy sessions and taking pollutive people out of my daily experience. I’ve started to eat differently – trying my best to avoid toxins, and I exercise every day. Another big change for me has been cutting down on travel and allowing myself to exist in stillness – probably my greatest challenge. All of these changes have given me space to explore my heart, my present, and my past. I’ve spent a lot of time wondering about the aforementioned predicament: why do I feel nothing, when it’s obvious I should be feeling joy or at least a bit of happiness? Through professional help, and a lot of self-exploration, I think I’ve been able to pinpoint the moment I believe I went from a young boy who had all the capabilities of experiencing joy to a boy who began to suffer from emotional disassociation. I was in my mid-teens and I had long felt that I had been treated differently from my five other siblings. I hadn’t been experiencing the same level of tenderness that I saw the other kids receive. My parent-child experience always felt coarse and blocky, while my siblings seemed to experience a warm gooey type of affection from my parents. I often felt isolated and misunderstood – with neither parent taking the time to get to understand me or let me know that they saw my pain. One sunny afternoon when I was in my mid-teens, my mother – who was becoming increasingly uneasy at the prospect of one of her sons (me) being a homosexual – pulled our van to the side of the road and without looking me in the face delivered a package in the form of four small words: “I don’t love you.” She continued, “I mean, I don’t love you the way I love the other kids. I don’t know why, but I can’t seem to love you the same way”. In those moments, my life changed. My worst fears had arrived and what hope I had – a hope that I was wrong and that she did love me – evaporated. Since then, she has apologised for how she felt, but that doesn’t change how she felt and the effects it had on my life. When you grow up not experiencing the love that all those around you experience, you start to feel invisible. Being human starts to feel more like a ghostly experience. Sometimes you carry that with you into adulthood, sometimes throughout your entire life. I think this hollowed-out feeling is what stops me from losing myself in the moment, from being present, and from experiencing true joy. When wonderful things happen to me, I don’t really feel it like I wish I would. I’ve been this way my entire adult life – watching my friends be far more excited for me that I am for myself. 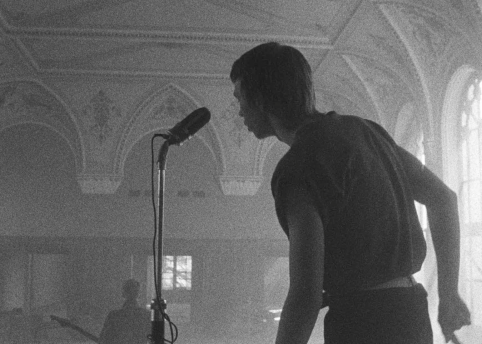 I remember when The Drums first took off ten years ago, we were hailed as the best thing since sliced bread from everyone from Pitchfork to NME, and while I understood that it was happening to me, I didn’t feel it happening to me. It was as if I was standing side stage watching a hologram of my life unfolding, rather than really feeling all those moments in my heart, soul, and body. To make things worse, because I could not feel joy, and felt the need to feel, I resorted to binge-partying, throwing myself into abusive relationships, and ignoring my wellbeing as a way to feel alive. I think I ended up really hurting myself, hurting others around me, hurting my career and the list goes on. I subconsciously felt that I had nothing to lose. After all, what do you have to lose if you’re just a hologram. I’m writing this with no clear answer on how to fix myself. I just think by talking or writing about it, I relieve myself of some of the pain, and I could possibly be nudging myself towards wholeness. So all I can really do here is tell my story and tell you what I think helps me. When you take time to search your heart and start to take yourself seriously you sometimes have to confront the scariest parts of yourself. A lot of the time, there is no absolute cure, but at least identifying a source of pain helps us start to understand it, and understanding makes it more manageable. I am far from where I want to be, but I feel I am where I need to be – in a place of searching. And I guess if I am still searching, by default that means I must have hope somewhere inside me – and that is why I keep going every day – on my quest to live a life with a deeper emotional gravity and greater joy. 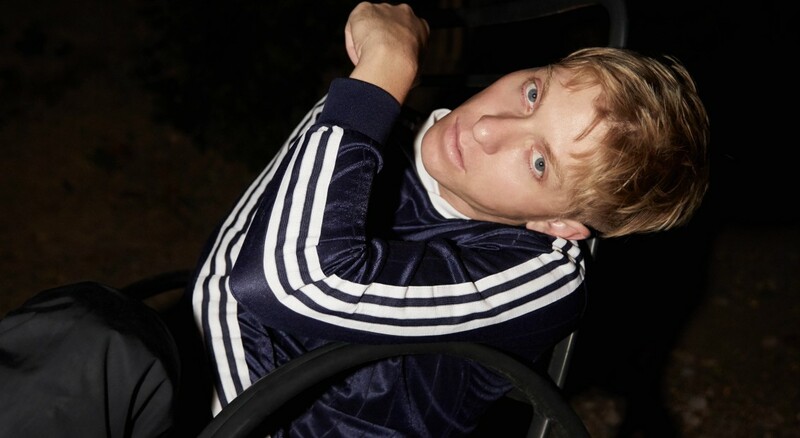 The Drums‘ new record Brutalism is out now.